. استمتع بالخدمات الراقية والضيافة التي لا مثيل لها بهذا الفندق في صن شاين كوست. يقدم الفندق مرافق مخصصة لذوي الاحتياجات الخاصة, تسجيل وصول/خروج سريع, تخزين الأمتعة, صف السيارات, التوصيل من وإلى المطار لضمان الراحة القصوى لضيوفه. بالإضافة لهذا,تتضمن كل غرف الضيوف مجموعة واسعة من وسائل الراحة . بعض الغرف توفر حتى تلفزيون بشاشة مسطحة, غرف لغير المدخنين, مكيف هواء, مكتب, شرفة/ تراس لإرضاء أكثر الضيوف تطلباً. سواء كنت من محبي الرياضة أو كنت تتطلع لتفريغ عناء نهار صعب، ستجد خدمات ذات مستوى عالي بانتظارك كمثل مركز للياقة البدنية, ساونا, حمام سباحة خارجي, حديقة. مهما كانت أسبابك لزيارة صن شاين كوست، فإن OVR Caloundra هو الخيار الأفضل لإقامة مثيرة وممتعة. يُرجى العلم بأنه يجب تقديم تفاصيل البطاقة الائتمانية عند تسجيل الوصول لأسباب أمنية. يرجى الإشارة إلى موعد الوصول التقريبي عند الحجز. ساعات عمل مكتب الاستقبال هي من الاثنين إلى الجمعة من الساعة 8 صباحًا إلى الساعة 5 مساءً، وأيام السبت من الساعة 8 صباحًا إلى الساعة 3 مساءً، وأيام الأحد من الساعة 8 صباحًا إلى الساعة 12 ظهرًا. This is a nice place to stay . unfortunlatley i was on the 2nd level so there was limted ocean views . fourth floors and above would have views , and other rooms look away from the ocean . Overall a great location on Kings Beach . The room was very comfortable and spacious. We had a studio apartment with full kitchen. Views over the beach from the veranda. Walking distance to beach, town centre and the abundance of eating places. Room was clean. I arrived on a Sunday, so it was deemed after hours. First lady on the reception phone was rude. Arrived at 1:00pm & was rudely told to come back at 2:00pm as room wasn't ready. Found my mobile that evening to find a text at 10:15am saying my room was ready and the code to the safety deposit box was on text. The rest of the staff during our stay were lovely and very helpful. I'll be back. Thanks for a lovely stay. Apartment was lovely with family size fridge to boot. Lots of inclusions pool, spar, gym, sauna and bbq's. Central to lots of differing eateries, close to waterfront, shopping centres - all within walking distance. The hotel is in walking distance to shops and beaches. The pool is lovely and room is spacious. We had a problem with opening the balcony door which was fixed at one point but then it broke again as soon as we closed the door which made the room stuffy as this was the only opening window in the apartment. Great location and views. Very spacious unit. Lovely views and a great pool. The only thing we could fault was bathroom had a smell to it and the shower was very small. Apart from that we had a great stay. Pro: Clean. Good location, close to one beach. Underground parking with reserved spot. After hours check in possible and easy. Staff was very nice and helpful. Small pool. Cons: Air con set on 22 when we arrived so one got sick from the temp after rhe first night. Bed mattress too soft for a persons with back problems. The place was great, close to beach, shops and restaurants. The room is very clean and great space. Only down side is the sour women on reception that was so rude to me because my toddler had accidentally dropped her shoe and a tiny bit of food off the balcony through the gap at the bottom of the glass, it wasn’t her fault and my daughter didnt intentionally throw the items. I called to ask if I could have the shoe retrieved and she rudely said she had picked it up and the food that was with it, I tried to explain it was an accident and the receptionist was still very rude, told me to come to reception, they don’t extend check outs (I had asked for the 11am check out that was advertised when booked) and hung up. Was a horrible ending to our very pleasant stay. Very affordable, easy after hours check in and great communication from staff! Enjoyed my 4 night stay here. A few restaurants around the area so easy to find food. 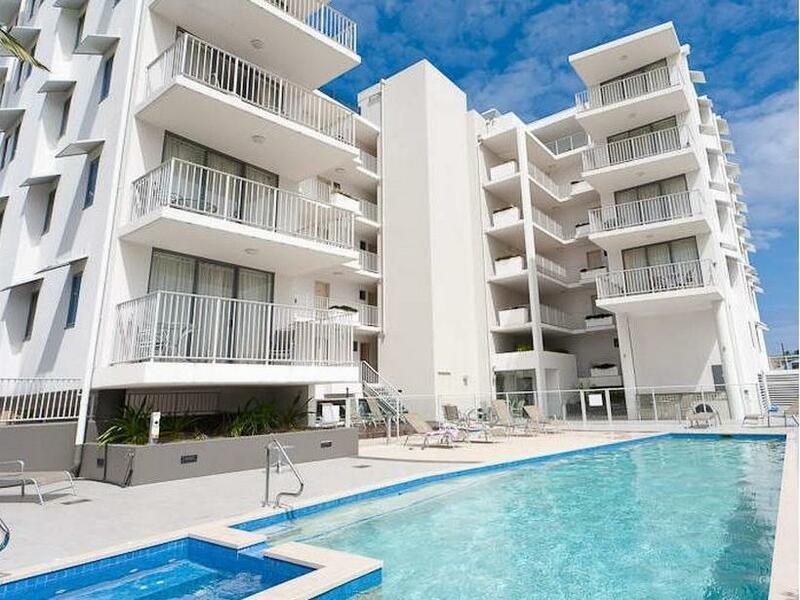 Also very convenient to get around as Caloundra Bus station is nearby. Ocean view ? Very misleading, a very small view of the sea through 2 buildings from my second floor unit. Room was clean and spacious and a water view from the balcony. Undercover parking and easy to walk to beach, restaurants etc. Best eatery was Le Promenade Cafe top food and service, open all day, great breakfasts and dinner, would highly recommend. Staff at OVR are polite,helpful and very helpful. 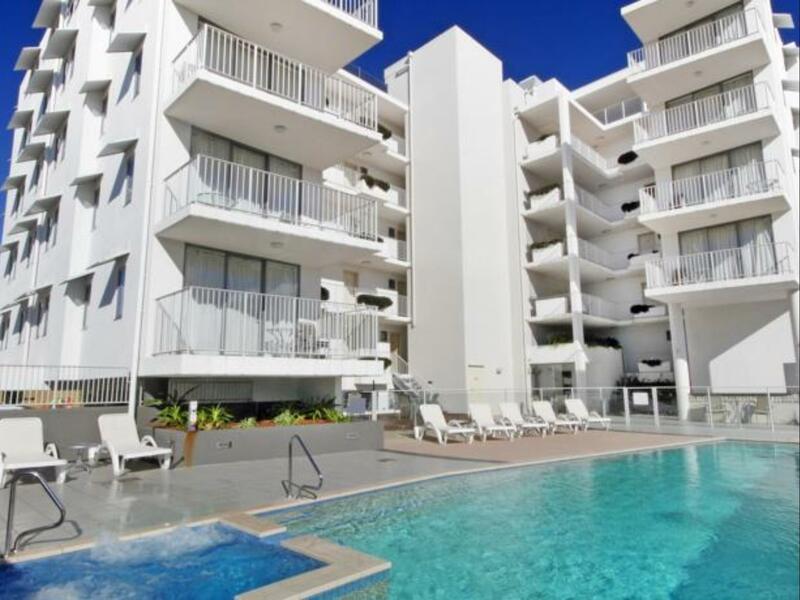 Location is great close to restaurants, shops and beach , everything you need is in walking distance. Rooms are clean and good size. Pool is clean. Would definitely recommend to anyone. My family and I stayed here for 1 night. Regina at the front desk was very helpful and so polite we were a last minute chk in as we were only visiting for the day but ended up staying the night because we were having such a good time. OVR was the perfect place to stay, close to everything eg Coles, Kmart, esplanade, kings beach which was such a great Day out. The pool,sauna,spa were all such a great way to unwind .Just what we needed after a long day at the beach even better it was quiet and very clean.